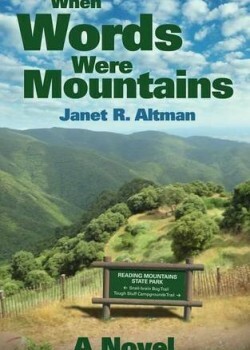 In writing this uplifting, yet thought provoking story, the author Janet Altman draws from her extensive knowledge gained by working with children with learning difficulties. However also importantly this is a story which comes from the heart, as the author writes from her personal experiences. Any parent knows that children learn at a different rates, and excel at some subjects yet struggle with others, indeed even siblings vary vastly in their academic abilities; it’s natural. However, Rosemary Enrico, the mother in this story, is very worried about her daughter Dawn. Dawn struggles terribly with her reading and spelling, a fact which is highlighted one September when a substitute teacher gives a review spelling test, and she gets every word wrong. After the heart rending experience of hearing her daughter say that she wishes she could “crawl back inside her belly and be born smart,” Rosemary is determined to get assistance for her daughter. The school teachers try to placate Rosemary, offering assurances that she is just slow at reading, and that she will read when she’s ready. However deep down Rosemary knows different. Worriedly, she watches her daughter withdraw into herself, unhappily trudging backwards and forwards with all her heavy books, scared to leave one or two in her locker because it will entail running the gauntlet of the bullies who tease her. Her evenings are spent doing her homework which takes far longer than it should, instead of playing as she should be. So resolute, despite the reservations of her husband Frank, Rosemary pushes for Dawn to have the diagnostic testing she knows she needs. From there we learn of their experiences as they get the results, make decisions together with the school staff. We follow Dawn’s subsequent lessons with a learning disabilities teacher. In this truly inspiring and thought provoking story we watch Dawn emerge from the chrysalis she is in the first chapter, into a wonderful butterfly, one who has learnt to accept her strengths and weakness, and has become a true advocate for many others like herself.